Microsoft is busily exporting documents that deal with web standards. 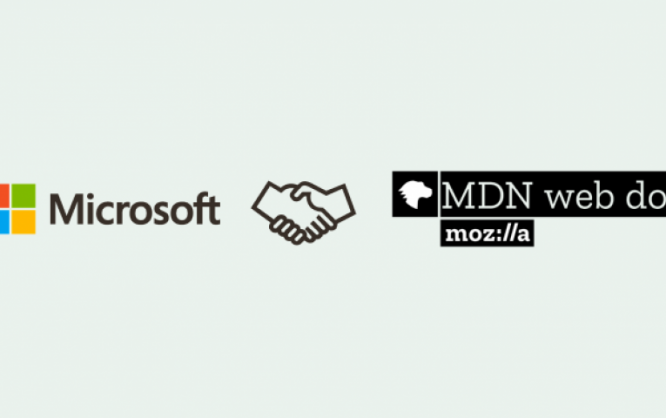 Target of the export is the MDN, the Mozilla Developer Network. What gives? In times where a reading and thinking human can get the impression that everyone was a splitter, Microsoft’s latest move is well received. Recently, they decided to merge their web standards documentation with Mozilla’s MDN, the Mozilla Developer Network. This makes MDN the definite biggest go-to place for web developers anywhere. In a first step, Microsoft already pushed over 5,000 documents into the MDN, which already contains almost 35,000 files. Aside from Microsoft, Google, the W3C, and Samsung also support the project MDN by providing their relevant documents. The Mozilla Developer Network in this form, although it was first called Mozilla Developer Center, has only existed since 2005. The foundation of the documentation was the old Netscape Navigator documentation which turned into the modern system; just like Mozilla itself was created from the debris of Netscape. Microsoft, however, has been trying to fight it with their own MSDN, Microsoft Developer Network, for the longest time. Fortunately, the massive progress in the area of mobile internet usage lead to several cooperations of formerly competing businesses. Not that they became benefactors suddenly. Doing so is simple beneficial economically, if not even necessary. Just because of that, we can now see former competitors peacefully joining forces. Sadly, there is no similar unison of interests in world politics. Wow! it is a very good news for people who are using Mozilla & Microsoft products. We hope that something new will invent from both. Nice article! Keep posting in the same way.